Center Section 2 inch. 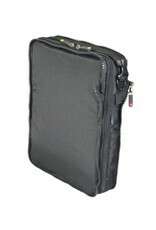 Designed to carry 13" laptops and tablet computers as well as documents, folders, clipboards, etc. This item does not include a Main Handle or Shoulder Strap. If building a custom bag, make sure your order includes one or both (if necessary). 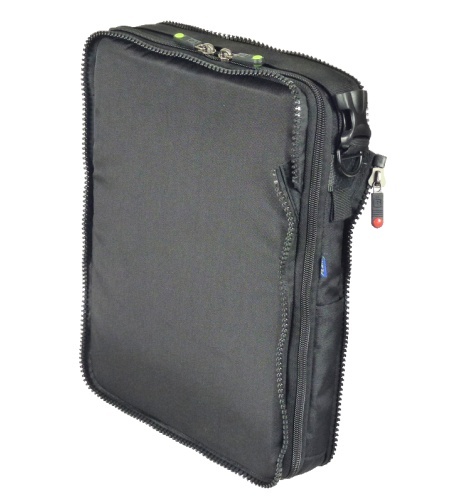 The CS2 is designed for carrying 13" laptops, iPads and assorted documents. Maybe even a single change of clothes. The interior dimensions of the CS2 are 13.5” x 10.0” x 2". The CS2 can attach to all of the FLEX System modules including other center sections. NOTE: THE CS2 OPENS TO THE REAR. Every module in the FLEX System has a front surface and a rear surface. All of the modules are one-directional by necessity. 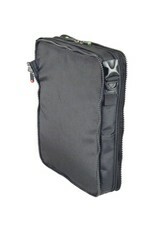 The original assumption was that the CS2 would be added onto the back of a CS4 for more storage. The CS4 opens to the front, and so therefore the CS2 opens to the rear. 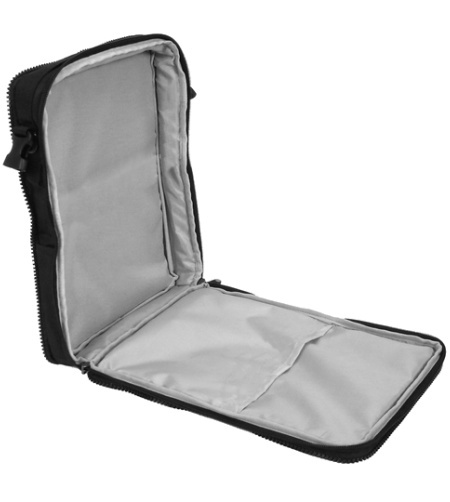 This means that if you plan on building a bag based primarily on the CS2 (like the B2 COMPUTE), you should know that the PCF (Pocket Cap Front) will attach to the non-opening "front" side, and the FCR (Flat Cap Rear) will attach to the rear panel of the CS2 which is the panel that opens and closes to give access to the contents of the CS2. 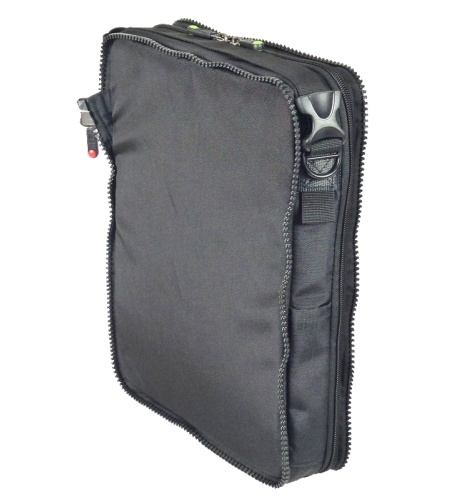 The CS2 can be used in any configuration and is not designed to be used by itself due to the possibility of damaging the exposed separation zippers. You will always want to have something (either another module or an End Cap) zipped onto both sides of the CS2 to protect the zippers. The CS2 is padded on all sides. It is an adequate amount of padding for basic protection. 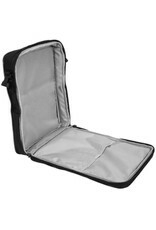 It is not heavily padded, so you'll want to carry sensitive items with a normal amount of care.